Another holiday, another free set of printable lunch notes! I had a lot of fun making these Thanksgiving-themed lunch box notes, and hopefully the owner of the lunch box you put them in will like them too! Just click the photo above to download. Happy Thanksgiving! 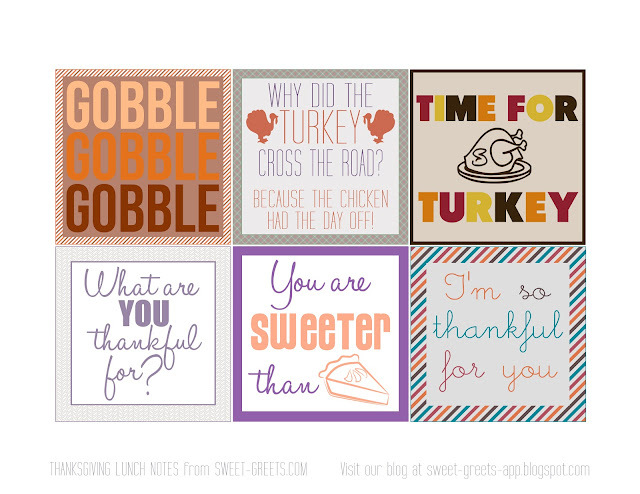 If you're looking for more Thanksgiving freebies - including treat bag toppers, digital papers and much, much more - just follow this link.